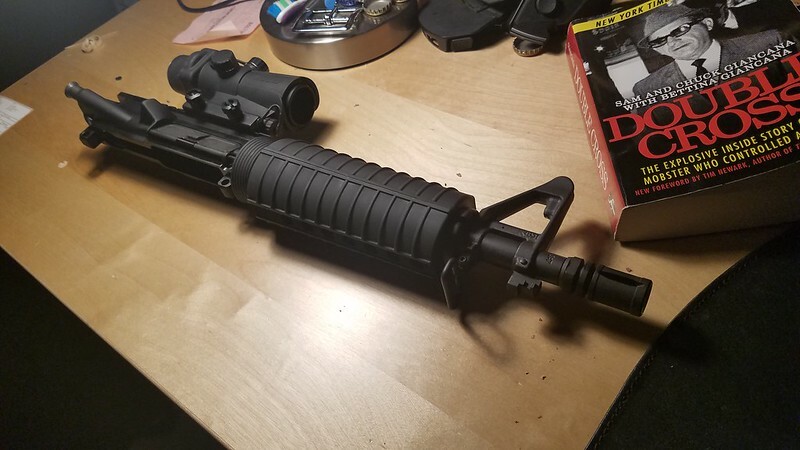 It seems like growing these passed couple years, short barreled non NFA guns like AR pistols and AKs seemed to be the norm for a lot of people. Even I'm not immune to it having started with my Scorpion Evo pistol with a brace and now and AR with a brace. 11.5 in barrel ARs seems to be the growing trend as well. It's because when the coming Second Civil War gets here, we'll have to be the Resistance's black ops and thus we'll need compact weapons with excessively (some say ridiculously) short barrels. Sig brace for OA-93 when? Nah, still too much drag for our high speed nature. Seriously, you know many MK 18 clones I've bumped into this passed month? The documentary Call of Duty makes it very clear that wars are won by whoever has the most OP submachine gun, after all, and that shooting someone at close range with a pistol is more likely to be fatal than being shot with a 50 cal or having a helicopter fall on them.